Today is the final day of 2013. It’s time to look ahead at my personal goals for 2014. Specifically, what I plan to watch in the upcoming year. I’ve broken it down into my DVD watch list and then some theatrical movies I’m most anticipating. 2014 will be the year of Hitchcock. I’ve attempted this for the last two years and always get off track. 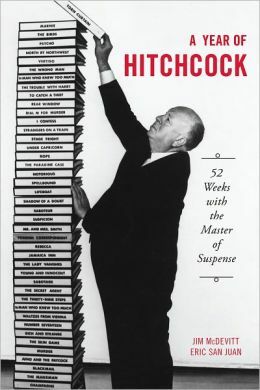 Since I’m starting off the new year with a goal to not only buy less but to also watch less movies, I feel confident I will make it through the Hitchcock film library this year. I have a copy of A Year of Hitchcock: 52 Weeks of Suspense by Jim McDevitt and Eric San Juan ready for my journey. While I won’t cover every single Hitchcock film here, expect to see more than a few pop up from time to time. Since I finished all of the Godzilla films in 2013, I plan to wrap up the Gamera series along with some random other Japanese monster flicks, including the Daimajin trilogy. While I don’t think I’ll be doing one article per film, I will definitely be sharing my thoughts on them. More comedy is on the agenda with Abbott & Costello, Our Gang and Laurel & Hardy topping the list. I plan on writing about these occasionally as well since I find most monster kids love these comedies too. More westerns are also on my list. This is a genre I used to love and, sadly, has been much neglected in recent years. 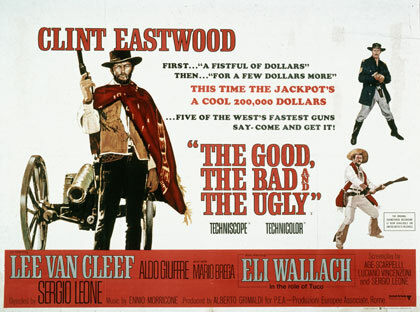 Vince and the gang at the B Movie Cast podcast are covering The Big Gundown (1966) on their first show in 2014, so I must not be alone. Finally, my never-ending goal of more Akira Kurosawa. 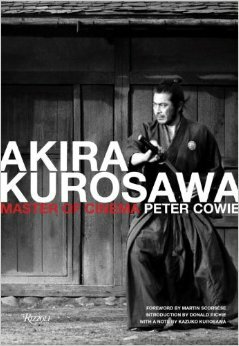 With a copy of Akira Kurosawa: Master of Cinema by Peter Cowie in my possession, this is another goal I hope to see accomplished in 2014. 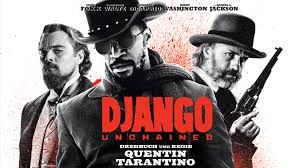 As for the cinema, there are several movies I’m highly anticipating. I think you can see genre films are topping this list. While it seems like a lot, it really isn’t considering how many movies I watch in a given year. That said, I do plan to watch less in 2014 as I hope to concentrate more on two other neglected passions of mine, reading and old radio shows. I’ve been in a big horror phase for at least 5 years or so but I’ve decided 2014 needs to be more diverse and a little more light-hearted. So there will be fewer horror movies watched in 2014. Therefore, you’ll find other genres being covered more on this blog going forward. But fear not, my love for the monsters and horror will still be the cornerstone of this site. I suspect there may be some book reviews as well as an article or two on other topics. Don’t worry if a few weeks go by without a post. That just means I am being successful at better balancing my life and personal interests. I will continue to update Facebook with each new Monster Movie Kid blog entry as I find that is the best way to get the word out there whenever I write something new. However, I must thank B Movie Cast and 1951 Down Place as they are two of the sites where most of my hits originate from besides Facebook. If you aren’t listening to both of those podcasts, do yourself a favor and start now! While I’m on the topic, special thanks to Desmond Reddick at Dread Media, Derek M. Koch at Monster Kid Radio, Terry Frost over at Paleo Cinema and the Martian Drive-In Podcast and award-winning author Stephen D. Sullivan for their ongoing support as well. Be sure to also check out the Horror Etc. podcast and the Facebook pages for all of these supporters and others I know that I am missing. Thank you for your support in 2013 and I look forward to reading your thoughts, both positive and critical, in 2014! And so ends 2013. The end of the year is a time to reflect on the previous 12 months and to look ahead at the next. Since 2009, I’ve kept track of every movie I’ve watched, just for fun. It’s been interesting to see patterns, highs and lows, and just what was interesting me that given year. So, let’s take a quick look back at the number of movies watched (in a theater, on DVD, Apple TV, etc.) through today, December 30, as well as what I enjoyed and what I’d prefer to forget. And now for my favorites and least favorites of 2013. Some of you will agree, others may just shake your head. What can I say, some of my favorites are guilty pleasures and subjective to my mood at the time. And now for the worst of the year. Thankfully, this was a very short list. Needless to say, I was a lot pickier about what I chose to watch in 2013. Some of my random accomplishments this year included watching a slew of Dr. Jekyll and Hr. Hyde adaptations in March, finishing the Godzilla series and revisiting all of the Superman franchise. Sadly, plans to watch Alfred Hitchcock never happened but that will be corrected. I did get started on the Our Gang series as well as revisiting Laurel and Hardy but I didn’t get very far. That too will change in 2014. Come back tomorrow as I talk about my film goals for 2014 and the future of the Monster Movie Kid blog. It’s Christmas Eve and as has been my tradition since 1989, I always watch the 1951 version of A Christmas Carol with Alastair Sim, better known as Scrooge. It is my favorite of all of the different ones out there to choose from. 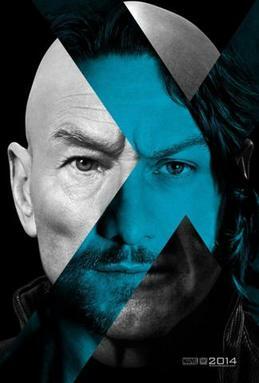 Now, I really enjoy the George C. Scott version from 1984 as well Patrick Stewart’s from 1999. However, there is another version that, while not my favorite, I revisit about every five years or so. 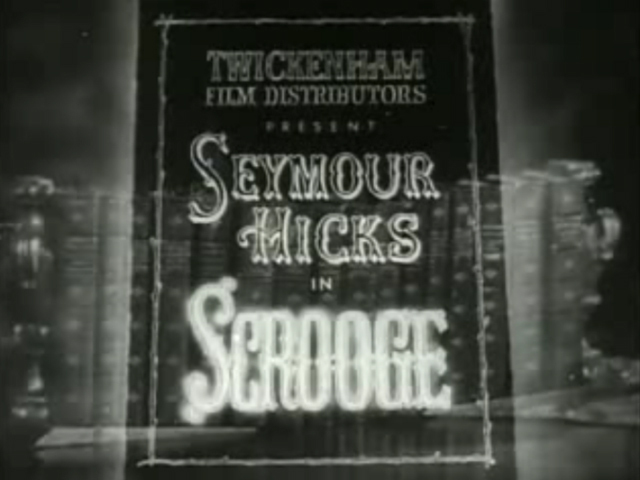 Let’s take a look at Scrooge, the British 1935 adaptation and first sound version of Charles Dickens’ immortal classic starring Sir Seymour Hicks. Sir Seymour Hicks had already played Ebenezer Scrooge once before, some 22 years earlier in Old Scrooge, a 1913 40-minute short that I watched in 2012 for the first time. That version was fun but really just a curiosity as it left out a lot of details due to its truncated running time. By 1935, Hicks was 64 years old and, I think, more suited for the part. He is perhaps one of the most crotchety looking Scrooges ever to grace the screen. He starred in other British films of the 1930s but this was by far his most prominent and memorable role. 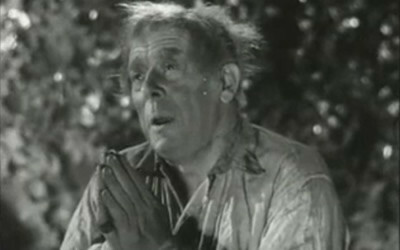 While Hicks doesn’t surpass other actors who have played Scrooge, he is better than Reginald Owen, star of MGMs 1938 adaptation. Owen may have been a better actor but he always seemed too polished for me. 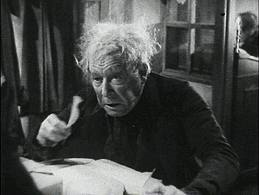 Hicks had an edge to his performance that elevated his version of bad Scrooge. However, it also played against him when Scrooge is changed. I don’t quite get the same sense of redemption and renewal that others have displayed. Donald Calthrop is Bob Cratchit and, again, I think better than what we saw in 1938 but not as good as others. He is most remembered for a few other genre films, such as The Phantom Light (1935) and an uncredited role as a derelict alongside Claude Rains in The Clairvoyant (1935). Also look out for Maurice Evans (Dr. Zaius of Planet of the Apes) in a small role as a poor man. The plot of the film is as to be expected but there are some odd choices made by director Henry Edwards. For starters, we never actually see the Ghost of Christmas Past outside of a brief appearance on the door knocker. Budgetary concerns may have a played a part but it is disappointing. The Ghost of Christmas Yet to Come is also barely seen, but no different than has been presented in other adaptations. Some aspects are cut out, such as Scrooge’s sister Fan and Fezziwig. Bad decisions in my opinion. There was also the odd choice to have Hicks play the younger Scrooge. He was far too old to do so convincingly by 1935. Despite some of these deterring points, I find that I do enjoy this version. Now, this movie has fallen into the public domain, so it is perhaps the easiest of versions to watch. There are countless DVD releases in addition to its availability on the Internet Archive and YouTube. One thing to be careful of is the running time. It runs 78 minutes but there is an edited 63 minute version still circulating out there. The easiest way to tell the difference is by the credits. The full version starts off with a bookshelf and a hand turning the pages to reveal the credits. All of the versions are a bit rough as a fully restored edition has yet to be released, nor is it likely to be. Sit down and enjoy it for a change of pace. It’s definitely worth the time to discover and judge for yourself. This is my last regular post of 2013 outside of my yearly recap. So, may I wish all of you a Merry Christmas, Happy Holidays (for those of you who don’t celebrate Christmas) and a Happy New Year! Now, I have to get my eggnog and cookies ready for tonight! Today, I’m taking a look at a movie from my childhood that I only recently rediscovered a few years back. 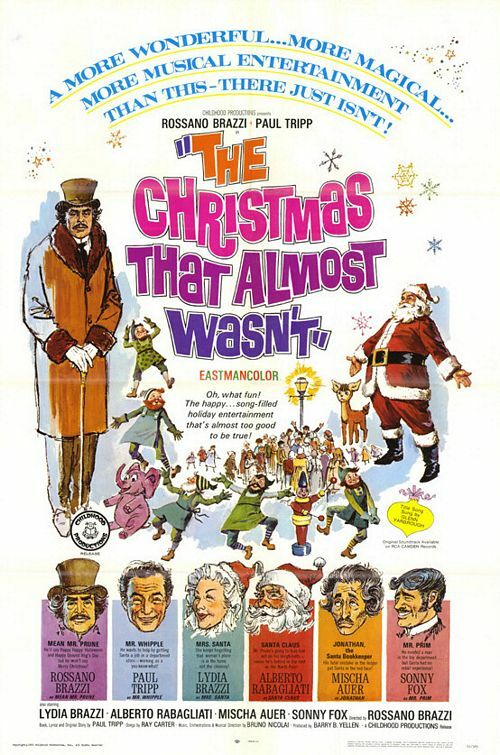 The Christmas That Almost Wasn’t (1966) made the rounds as a kiddie matinee flick in the 1970s before becoming a staple during the Christmas season on HBO through the early 1980s. In fact, I have memories of not only seeing this on HBO but also at the Fox Theater in Newton, KS one Saturday afternoon in the early 70s. I think we’ve all seen the plot of this movie in one form or another over the years. An evil man threatens to cancel Christmas. 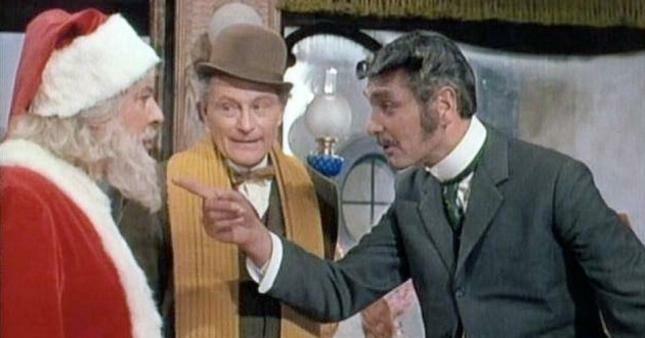 Here, the evil man is Phineas T. Prune, a penny pinching grouch right out of the mold of Ebenezer Scrooge, complete with top hat and swirling moustache. He owns the deed to the North Pole and Santa is running behind on his rent. Unless Santa Claus can pay the back rent, he, Mrs. Claus and all of the elves will be evicted while Prune keeps all of the Christmas toys. 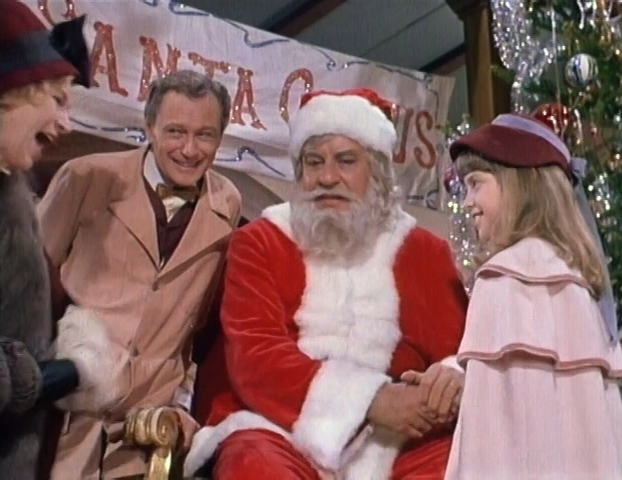 Santa Claus is played by Alberto Rabagliati, who certainly looks and acts the part quite well. Rabagliati might be remembered for a role in The Barefoot Contessa (1954) but, as this was his last role before his death in 1974, he has been forgotten by most of today’s American audience. Santa visits attorney Sam Whipple for his help. As a child, Sam actually wrote Santa a thank you letter, offering to pay Santa back whenever he needed help. So now Santa is calling in that offer. Whipple is played by Paul Tripp, a well-rounded performer who also was a producer and director in addition to actually writing the children’s book that this movie is based on. The evil Prune is played by Rossano Brazzi (The Barefoot Contessa), who also made his directorial debut with this film. Rossano’s wife Lydia is Mrs. Claus and sharp eyes may also recognize Mischa Auer (Hold That Ghost, Destry Rides Again) as the elf foreman. The rest of the plot is simple as Whipple and Santa get jobs at a toy store while the elves look for a reason to disprove Prune’s claim that he was never a child. In the end, it’s the children of the world who save the day and the reason for Prune’s behavior is finally discovered. In my opinion, The Christmas That Almost Wasn’t is very charming and a lost classic. Perhaps it is the European feel of the film that adds to the charm. It is a little out there at times, which reminded me of such films as Willy Wonka and the Chocolate Factory and Lemony Snicket’s A Series of Unfortunate Events. If you or your children enjoy those films, this is one to add to your Christmas wish list. The movie was impossible to find for many years outside of a HBO Home Video VHS release in 1990. It was released on DVD in 2003 but is often out-of-stock. There are a few different uploads on YouTube but they all appear a little fuzzy. Thankfully, it has been made available for streaming on both Netflix and Amazon Instant Video. So, sit the family down for something fun and different this Christmas. You won’t be disappointed. And I challenge you not to be humming the opening theme song days after the Christmas lights are turned off. Last year, I reviewed several classic and not-so-classic holiday films as part of my “Countdown to Christmas”. Well, a shorter holiday season and a busier schedule this year has put me behind on my movie watching. That said, the Countdown is on, if not a little shorter. 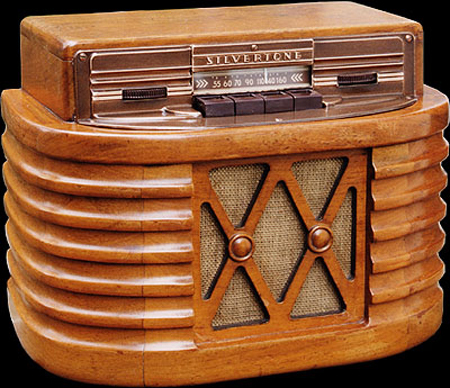 First up, I want to do something a little different and offer up some suggestions on old time radio programs perfect for the Christmas season. I first discovered old time radio in the late 1970s when my dad bought me a Radio Reruns cassette tape of The Abbott and Costello Show, which featured the classic “Who’s on First” routine. It wasn’t long before I was listening to a wide assortment of programs. And, as any OTR fan will tell you, some of the very best are the Christmas episodes. Every year, I choose from a long list of classic comedies like The Jack Benny Show and Fibber McGee and Molly. However, comedy isn’t the only genre that got into the season. There are plenty of mysteries and crime dramas that also got into the spirit. So here are a few suggestions that will help you relive the days of yesteryear or, if you are lucky, introduce you to a whole new world from the past. The crime drama Dragnet, starring Jack Webb, presented two tales that I always enjoy. One really hits home just as much today as it did then. Escape is another anthology show that couldn’t let the holidays go by without some murder. 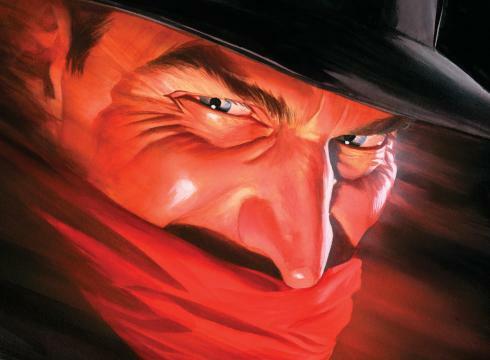 The Shadow is one of my all-time favorites. Just as sure as crime doesn’t pay, it didn’t take the holidays off either. Here are two great Christmas tales, both starring Bill Johnstone. And what Christmas season is complete without listening to Charles Dickens’ A Christmas Carol. 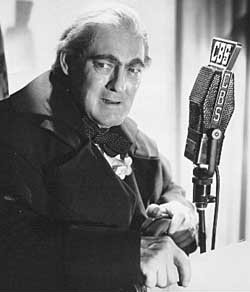 Lionel Barrymore played Scrooge on the radio for years but his 1939 appearance on Campbell Playhouse alongside Orson Welles was his best. I first discovered this in 1989 while living in Paris, Texas. A local radio station played it on Christmas Eve as part of a sponsorship from the local Campbells factory. It is amazing and highly recommended. I’ll be back tomorrow as we turn off the radio and fire up the DVD player for The Christmas That Almost Wasn’t. 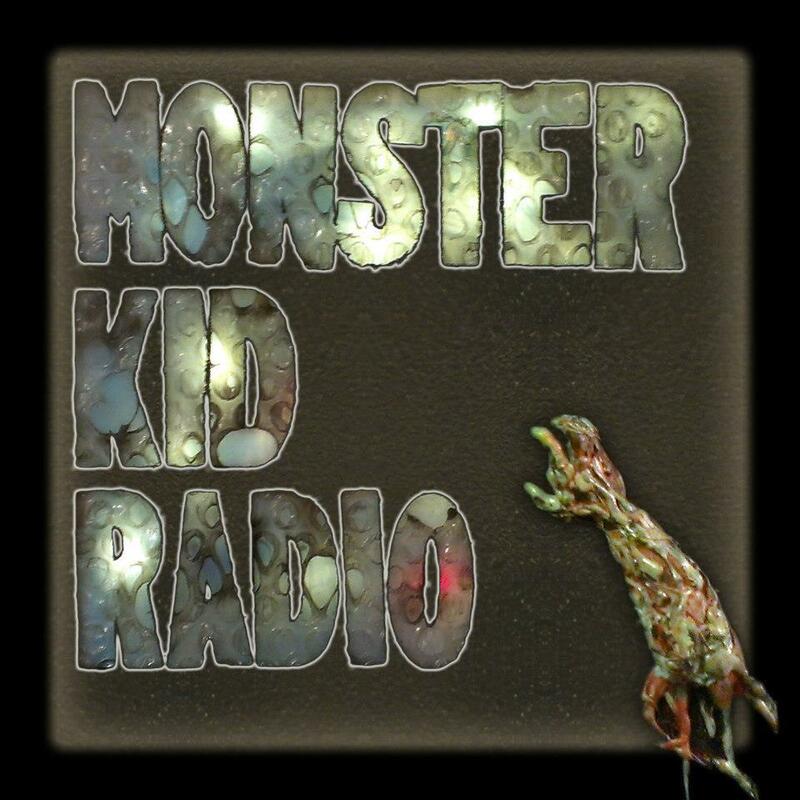 If you are just dying to hear my voice once again, I’m back on one of the latest episodes of Monster Kid Radio. Derek put me through the Classic Five, a rapid fire question and answer segment. Check out episode 54 of the Monster Kid Radio podcast. And if you still haven’t added Derek’s show to your weekly podcast rotation, why haven’t you yet? It’s a fun show offered up twice a week with content every monster movie kid will love. And, if you take the time to go to iTunes and post a review, Derek has another podcast in mind that he promises we’re sure to enjoy! The long journey is over. I have finally watched all 28 films in the Godzilla franchise. While I had seen almost every movie in the Showa series (1954-1975), most of the Heisei series (1984-1995) and all of the Millennium series (1999-2004) were first time viewings. Now, there are still some Toho and Kaiju flicks waiting for me to discover them, such as the last 2/3 of the Gamera series (which is on my plan for 2014). Before I offer up some final thoughts, I did take the plunge and revisited the 1998 disaster called Godzilla. I had no desire to give a full review on this movie, especially until I had finished with the real Godzilla series, but I felt it was worth a paragraph. The 1998 movie called Godzilla is not really a Godzilla movie. It is a movie about a giant monster terrorizing New York City. Go into with that frame of mind and you’ll be okay. Leaving the name Godzilla out of it, you might actually have some fun with the movie. However, that is almost impossible to do. The movie requires some pretty big leaps of faith and suspension of reality, even for a Godzilla movie. I usually enjoy Matthew Broderick but he was quite wrong for this movie. In fact, the casting and script make this seem more like a comedy at times. And why didn’t they stick with Stan Winston’s design? 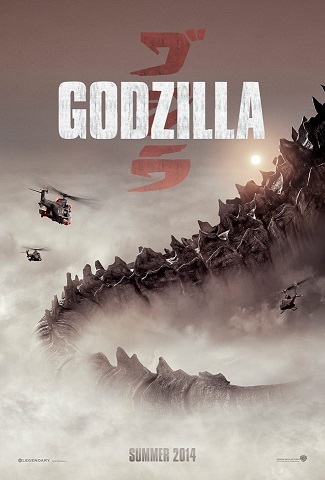 Needless to say, this movie does not feature Godzilla. Okay, enough said about that. I thoroughly enjoy watching a Godzilla movie. Yes, after 28 movies, the plots and action are often very repetitive. 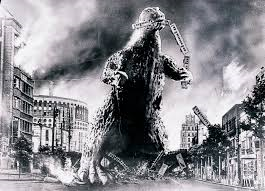 The supporting storylines are almost always secondary to Godzilla and the battles he has with the monster of the day. 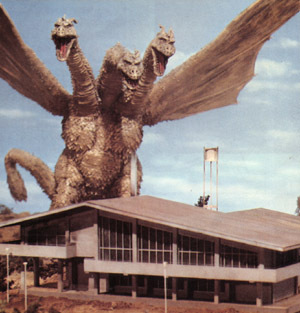 As the Showa series wore on, Godzilla turned more cartoonish in both appearance and actions. With his return in 1984 in the Heisei series, there was some promise of darker days ahead. However, I could never get into the Heisei films. The special effects now seem very dated rather than nostalgic (as they feel in the Showa series) and some of the themes and characters were just too annoying. I enjoyed them but doubt I’ll revisit them anytime soon. I went into the Millennium series cautiously and was pleasantly surprised. Despite the occasional low, it was an incredibly fun journey. And there you go! This has been fun but the journey really isn’t over. On May 14, Legendary Pictures brings us Godzilla. 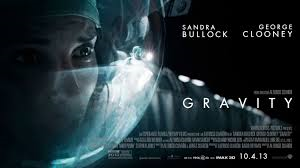 For better or worse, I plan on going opening weekend and I’ll be reviewing it here. It can’t be as bad the 1998 flick…can it? 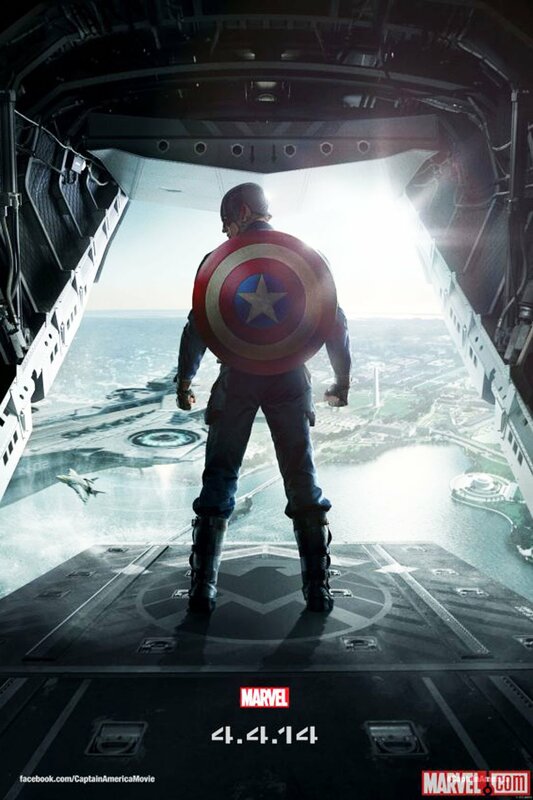 Actually, if the trailer is any indication, we could be in for some fun. 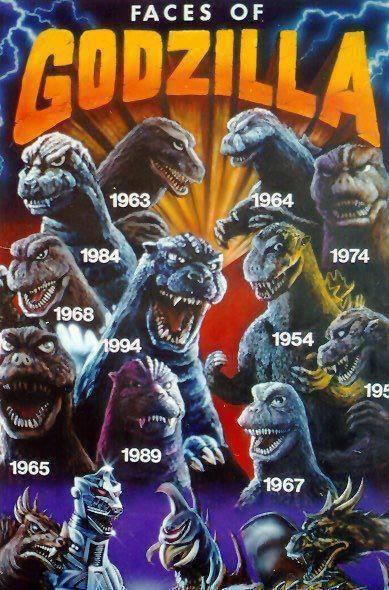 It looks to be a serious effort and, best of all, Godzilla looks like Godzilla. Until then, I’ll be concentrating on other movies but I do plan on checking out the rest of the Gamera series. So don’t be surprised if I offer up some thoughts on that series from time to time. Until then, we’ll see you at the box office.